Not only do I write web sites. I produce them too. 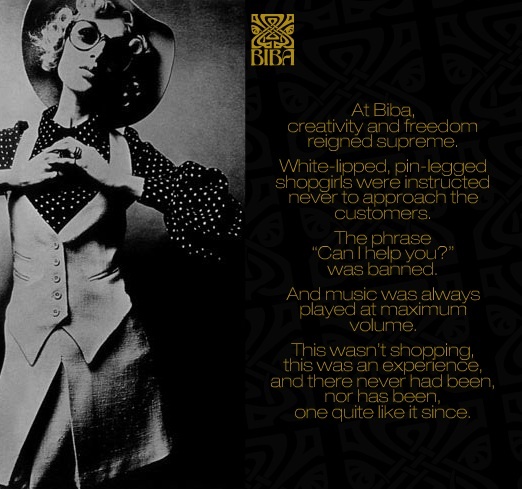 Freshly made for the rebirth of Biba, the iconic fashion brand, I produced and wrote this website just in time for London Fashion Week 2007 and went on to produce the Biba website for three subsequent seasons. Designed by Little Irrepressible Wonton. 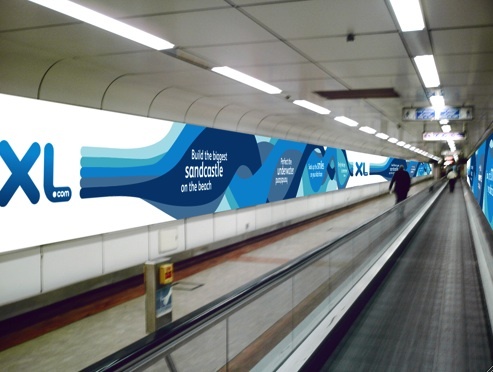 Commissioned by Brand Instinct to create headlines for one of the largest billboard sites in the UK at Gatwick Airport outside London. Due to the nature of the way the billboard was to be read, the task involved developing a series of headlines with an unfolding ‘narrative’ that would appeal to holidaymakers. 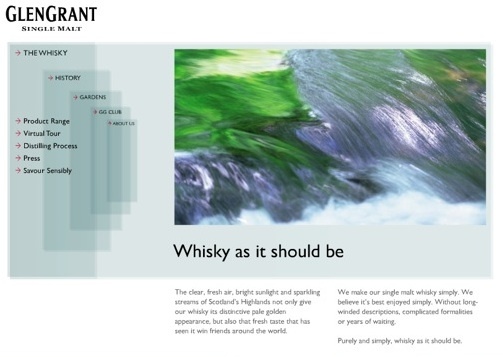 The London office of Imagination Ltd appointed us to develop the written website content for one of Europe’s favourite whisky brands. 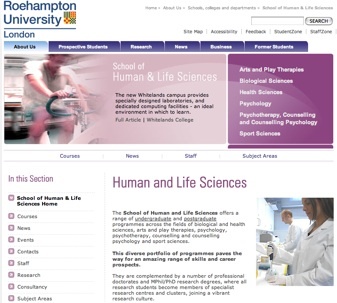 The existing site for the School of Human and Life Sciences at London’s Roehampton University needed an overhaul. My task was to ensure all content was current, that it reflected each department’s aims and conveyed a sense of cohesiveness throughout. The project involved interviewing academics in each department, gathering information and creating an overall tone of voice that reflected the aims of both the school itself and Roehampton University as a whole. 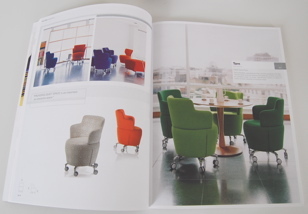 Commissioned by Gerard Taylor, Creative Director of Orangebox, the UKâ€™s leading provider of furniture to the corporate sector, to write â€˜Work in the Comfort Zone: Solutions for the 3rd space’, which examines a new approach to the office environment that maximises flexibility and optimises productivity. 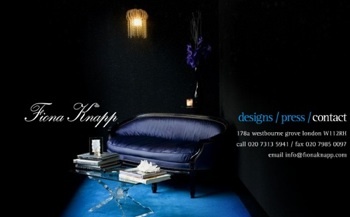 Commissioned to produce a website for Fiona Knapp, one of Londonâ€™s leading contemporary jewellery designers and retailers, based in Notting Hill.